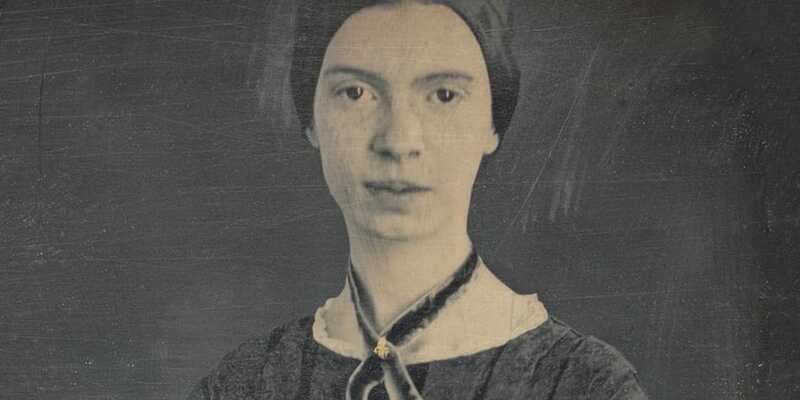 Why are Emily Dickinson Quotes so famous? Just 20 years ago, it was quite rare for people to work from home. But, as the world evolves and technology advances, more and more people are beginning to just that. Working from home can be a blast when it’s all going well, but it can also be very lonely and tiring place when it goes wrong. And the worst part is, that there’s no one there to help pick you up in your hour of need. But, don’t despair and don’t give up! There are things you can do that can help clear the cobwebs and pave the way to a more productive output. And one of those things is to take a few moments to “read and reflect”. What I mean by that is to read through some inspirational quotes from people who have succeeded before us. Then, reflect on how we can relate to those quotes and use them to push forward to achieve our own goals. 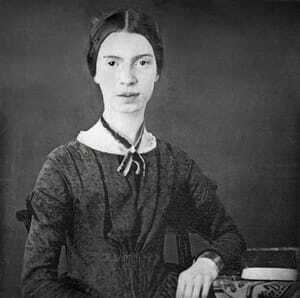 The quotes I’m going to focus on today are all by Emily Dickinson. So, who is Emily Dickinson? 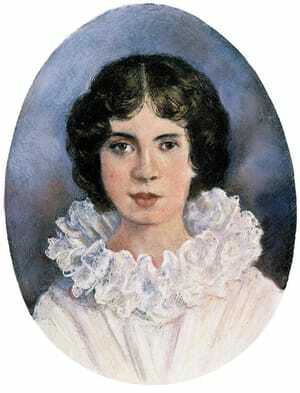 Emily Dickinson was a American poet who was born in Amherst, Massachusetts on December 10, 1830. It was here she lived with her parents, older brother Austin and her younger sister, Lavina. Growing up during this era largely involved carrying out domestic chores such as baking and gardening, as well as attending school. While Dickinson had many male friends, she never actually married. Unfortunately, her life was filled with many sorrows, including the death of her younger cousin, Sophia Holland among other dear friends and family. Later these frequent burials became an inspiration for some of her poems. And while Dickinson had an extremely close community-focused family, she began to become somewhat of a recluse. 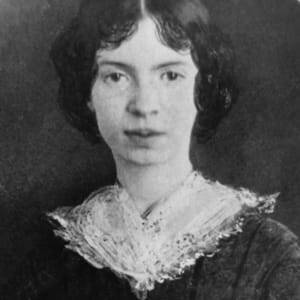 What is Emily Dickinson Famous For? 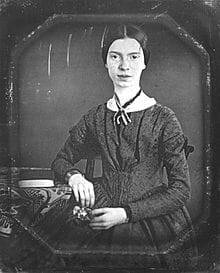 Where was Emily Dickinson Buried? It was when she was in her twenties that Dickinson really became interested in writing. Altogether she wrote nearly 1,800 poems during her lifetime. The majority of these were actually written before the age of 35. However, she was a very private person and around 800 of them were recorded in a small booklet that no one but Dickinson saw. She did, however, share some of her poems with close friends and family. This was particularly true of her sister-in-law, Susan Dickinson. Dickinson also sent around 100 of her poems to Thomas Wentworth Higginson. Higginson was an author of a piece in the Atlantic Monthly that encouraged young people to pursue their dreams in writing and go on to publish their works. While Dickinson did have some of her works published in the newspapers, most of these were printed anonymously. And many without her prior consent. Walt Whitman is another famous American poet from the same era. And while both he and Dickinson would have experienced some similar life experiences, on the most part they were very different from one another. Whitman grew up in the country and was very much a social butterfly. Whereas Dickinson was bout up in a prosperous area of New England and very much lept herself to herself. Their writing styles were also quite different from one another. Whitman was one for creating long and often complex poems. Dickinson’s, on the other hand, were much shorter and to the point. 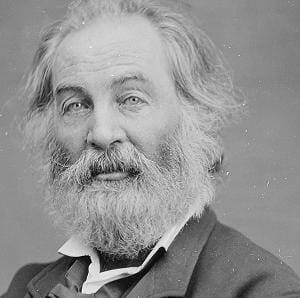 Many of Whitman’s poems were written for everyone and focused on patriotism and references to the Bible. In contrast, Dickinson’s poems are far more personal and a way of expressing her own thoughts and desires. Between the years of 1858 and 1861, Dickinson encountered a great terror during this period, but the cause of that remains unknown. What we do know is that this period largely affected Dickinson’s writing. 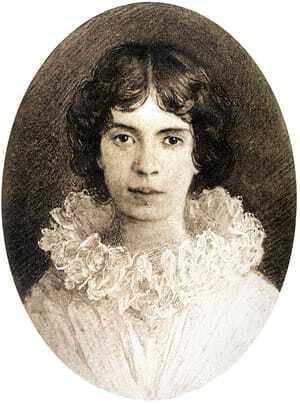 Many poems by Emily Dickinson are written in a somewhat abstract manner. It’s often wondered whether these events are what drove her vivid imagination and creative output. In 1864/1865 Dickinson received treatment for a serious eye condition. After this, rarely did she venture away from her home in Amherst. It was also around this time that she stopped formally assembling her poems into booklets. Manuscripts discovered from this time appeared unfinished. And life in general, was slowing down for Dickinson. Dickinson’s father’s death occurred in 1874 and her mother’s in 1875. A few years later, in 1883, her nephew Gibb died at the young age of eight. Not long after this, on May 15, 1886, Dickinson herself passed away, aged 55. She was laid to rest just four days later in West Cemetery, Amherst. 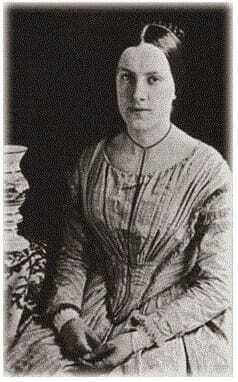 After her death, her sister, Lavina, discovered around 2,000 poems that Dickinson had written and showed them to the world. Even though Dickinson herself was a very private person, her work has helped inspire many people across the world. She stood up firmly for what she believed in and bought a new kind of writing to the world as a result. Not only did these poems really touch individuals but they also changed the way people thought about them. 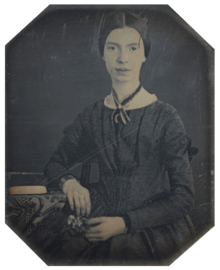 Emily Dickinson’s death was a great loss and one that was felt by many. However, her many quotes about grace, hope, and life itself will continue to shine through and inspire the world for many years to come. The more open you are to new possibilities, the greater your chance of success. It’s easy to get caught up in the moment, focusing on one main goal, and ignoring everything else. The problem with doing that is you may lose out on all other fantastic opportunities that come your way. So, while it is good to be focused on your work, don’t disregard everything else going on. Instead, embrace the idea that anything is possible, and welcome it with open arms. It’s also unpredictable. When an opportunity comes knocking, don’t turn it away. You may know exactly what you want to achieve by working at home, and so far, you may be doing a pretty good job of it. But, don’t let that fool you, as anything can happen in life. Sometimes, when things are going well, it’s easy take things for granted. Then when something does go awry, it’s the end of the world. To try and avoid that, live for the moment instead of the future. Some opportunities only come around once and could make all the difference in the world. So be alert and take what you can get! You will no doubt come across many challenges when working at home. The important thing is to learn from these challenges opposed to back away from them. In order to truly tackle a problem, you need to fully understand why it’s not working. Only then can you move forward with a viable solution and be more productive. When you think of forever, you probably think of a time a long way away. But really, if you think about it, forever is happening all the time; it’s the present; the now. What Dickinson is trying to convey here is each and every moment in time is precious and should be made the most of. So, when you’re faced with a work task that you keep putting off because it seems hard or long-winded, don’t. Time goes too quick and what may seem like a lifetime away is really just around the corner. By dealing with it in the now, you’ll have more time to do other things later. If you’ve ever heard the expression, nothing ventured, nothing gained, it’s pretty much the same messages being delivered here. Working from home is tough, but it can have big rewards. The key to is you have to be disciplined and just stick with it. At the end of the day, your plan could fail miserably. But there’s also a good chance that you’ll succeed. And if you don’t at least give it a go, you’ll always fail. So, take the bull by the horn and give it everything you’ve got. When you venture, you almost always gain. To be successful in working from home you need to be able to get things done and get them done efficiently. One of the ways you can ensure this happens is to prioritize. Focus on the things that are important and that you know you can do. If you spend too much time fretting over things you can’t do, you’ll find you get very little done. Hope to survive and succeed is the thing that drives us to get up each morning and do all we can do. Even when work is driving you crazy and you feel like you’re getting nowhere, hope is still there, pushing you on. Nothing can faze hope, and therefore nothing should faze you. If you feel like giving up, just dig a little deeper and have a little hope. Things will get better. Every interaction you have with a person has a ripple effect. For example, if you deal with a supplier or colleague over the phone and are in a really good mood, that mood and those feelings will resonate and the person you’re dealing with soon becomes more uplifted. Then this will resonate with the next person they deal with, and so on and so forth. It doesn't take much to start this ripple, and even something as simple as a smile can do it. However, just be aware that the same happens with negativity. So, if you are in a bad mood and need to deal with colleagues or suppliers, take a moment to cool down before upsetting the ripple. Nobody is right all the time. If you’re new to the world of working from home, you may have been planning for months exactly how it’s all going to run. However, I guarantee that when you start, there will be at least one thing that you hadn’t planned for that may your work a little more challenging. Being faced with unexpected challenges may seem tough at the time, but often it’s these times that we learn the most from. It pushes us to places we probably would have never ventured otherwise. So, if you do get knocked down by something unexpected, simply pick yourself up, and keep on moving. At least now, you’ll be even stronger and more knowledgeable than before. Unfortunately, the world is full of lies. And whether they are big or small, pretty much everyone does it. And the worst part is, we often lie to ourselves too. The problem is that when we lie, a part of us begins to believe that lie, and in the end, we are only deceiving ourselves. When working out home, set yourself realistic goals and stick to them. Don’t bend the goalposts if it looks like you’re not going to hit a target. Simply accept the situation for what it is, and look for ways to improve it. Fooling yourself will only lead to failure. If there’s one thing that’s imperative to success it’s knowing what you want and having the courage to go for it. Setting up a business from home is no small feat, but if that’s what you truly want to do, then don’t let anyone stop you. In order to achieve all your dreams and ambitions, you need to follow your heart at all times. Don’t live your life by how others want you to live as your heart will never truly be in it. What Dickinson is implying here is that while you need to have faith in all you do, faith alone won’t won’t save you. It’s important to believe in your work, but simply thinking something is good, won’t make you a success. Humans were given free will and intellect for a reason. While having faith is important, you also need to work hard and use your own intellectual tools in which to succeed. Working from home you’ll often be presented with new challenges. But just remember the above quote and that each day is a new day. And each day, we have the opportunity to succeed, excel, and live life to the full. You’re never too old or young to learn something new. Don’t shy away from the unknown. When faced with a new challenge when working from home, don’t see it as a setback. Instead, look at it as an opportunity to learn something new. The brain is a powerful machine - put it to good use! Positivity can go a long way, in both work life and everyday life. You should never be disappointed for being you. If you set yourself up to do a task and fail, so what? Try again. No one is perfect, and anyone that strives to be is wasting their energy, quite frankly. You are in control of working from home, and the goals you want to achieve. No one else. So don’t waste time wishing you weren't you. Be happy with yourself and all you do and it’s more likely you will succeed. We hope you enjoyed the above article. 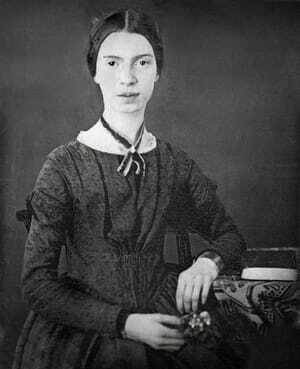 As you can see, Emily Dickinson was a very strong-minded and talented individual. 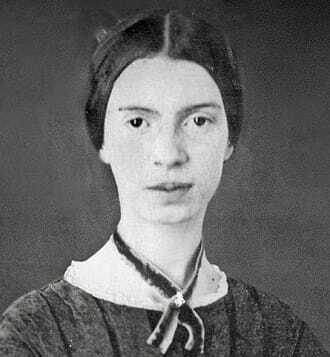 She liked to express her feelings in a number of cryptic and often morbid poems. That being said, she also wrote a lot about hope, faith, and love, and continues to be a great inspiration today for many people who enjoy her poems.